What do you get for the mum who always says “don’t get me anything for Mother’s Day!” and “I have everything!”. 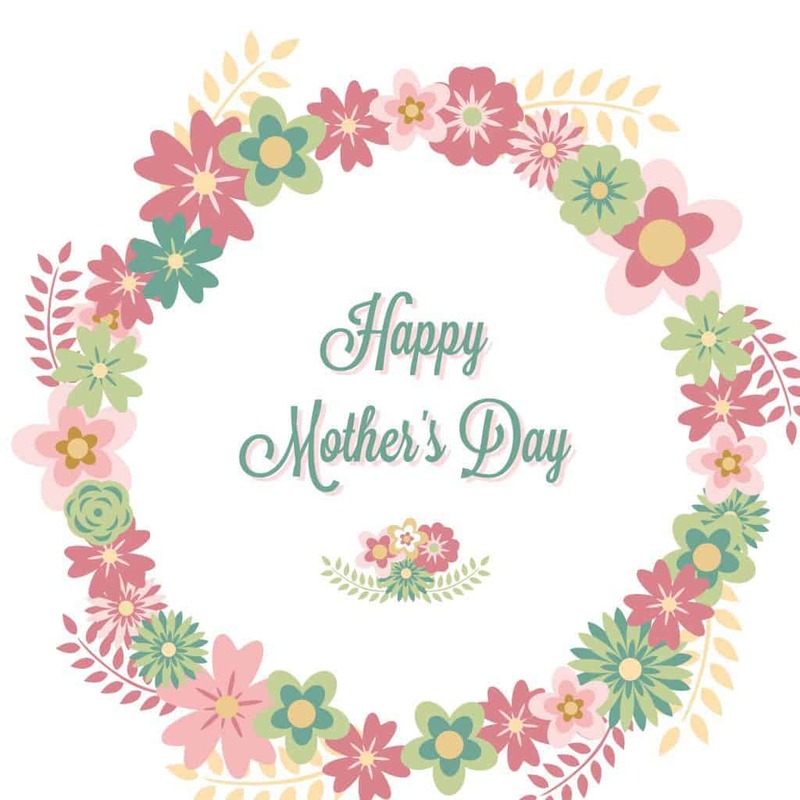 This is the problem I’m faced with on every special occasion with my mum and with Mother’s Day rolling around again I started to sweat wondering what I could….or should do. I knew she needed a new watch and so a quick look took me to GiftsOnline4U took me to their engraved watches range and I thought….eureka! This could be just the trick. 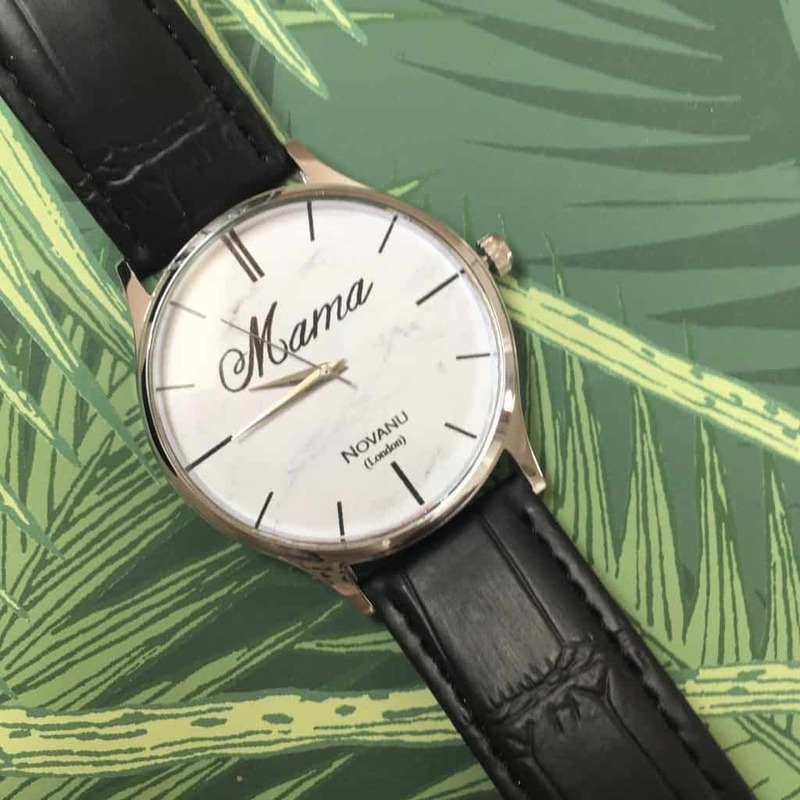 Not just a wristwatch but a watch with a special meaning and message. Personalised gifts are in my book – such a great way of standing out from the crowd and therefore make great presents which won’t end up gathering dust in the back of a cupboard…or worse still….down the charity shop within the year. You don’t have to worry that someone else (like your sister!) has bought them the same gift, or that they already have one of those….because they won’t! Over and above that, it’s not “just another gift” because that little bit of customization really takes it all to the next level. 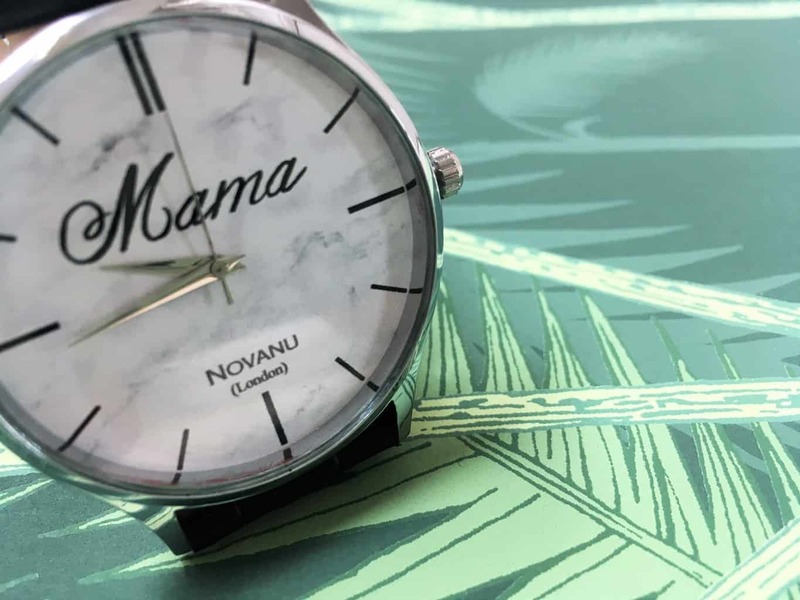 Under the Novanu London brand, this is a new personalised watch label that is exclusive to GiftsOnline4U – an online gift shop specialising in personalised and engraved gifts – which comes in a range of four different finishes. I immediately new that this one at £59.99 would be perfect with its white marble effect clock face. 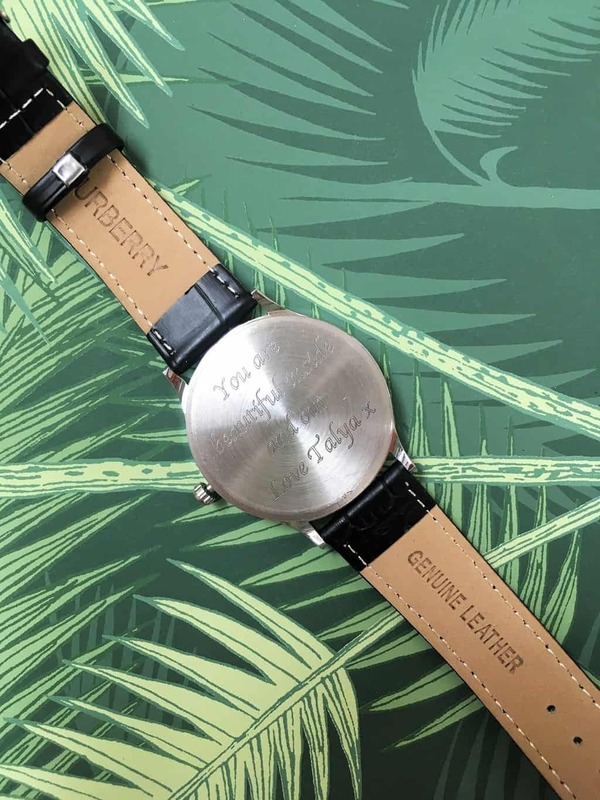 The engraved wrist watch is hand-made and manufactured in-house alongside 99% of all personalised gifts on the site and you can personalise the dial of the watch with your text and have your engraved special message on the back for a spectacular personalised watch gift for your mum. My mum has been having a hard time of it recently and has been feeling really frail both mentally and physically so I knew exactly what I wanted the words to be. On the front, a simple “Mama” and on the back “You are beautiful inside and out, love Talya x”. And so off I went to place and my order and here I am sitting here writing this, with my mum’s beautiful watch beside me after what was a very quick and easy ordering process, ready to defy her “I don’t want or need anything for Mother’s Day” claims with this watch – which I hope will lift her spirits and keep me close to her heart every day she wears it. And every moment she looks at it to see what time it is, I’m hoping that it will fill up her heart with strength and love from her daughter. A gift to be treasured forever, with a personal touch which really shows that its the thought that really does count. Why not take a look at GiftsOnline4U’s full range of engraved gifts? And if you enjoyed this watch review why not check out this one too. What an absolutly amazing gift! My mum would LOVE this! oh my gosh this is beautiful and ive blogged a few times about how much of a watch addict i am – another added to the list! I love personalised gifts. What a beautiful watch. What a lovely idea, I bet your mum will love it! Personalised gifts are so thoughtful, they’re one of my favorite things to receive! Beautiful watch. Really great gift with a personalized message. Oh I love this idea! I’m a huge fan of personalised gifts too. I think it makes it so much more meaningful and unique. But I do really struggle to find gifts for my Mum. I think she’d adore something like this. What a lovely gift for your mum. I love things that are personalised, especially jewellery, it just makes it all the more special. What a lovely thing to get for your mum. I’m sure she’ll love it! The marble effect is very on trend. Such a thoughtful gift idea!